When Downey Daily Photos started eight years ago, we joined a community of city bloggers. 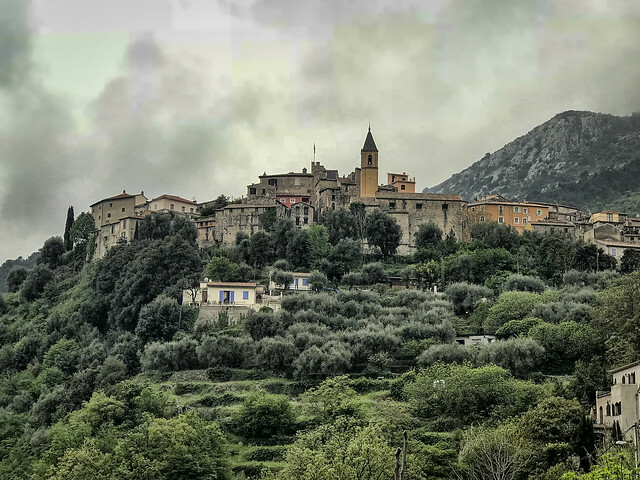 One of my favorite city bloggers was Jilly Bennett, who at that time mantained two city blogs, Menton Daily Photos and Monaco Daily Photos. 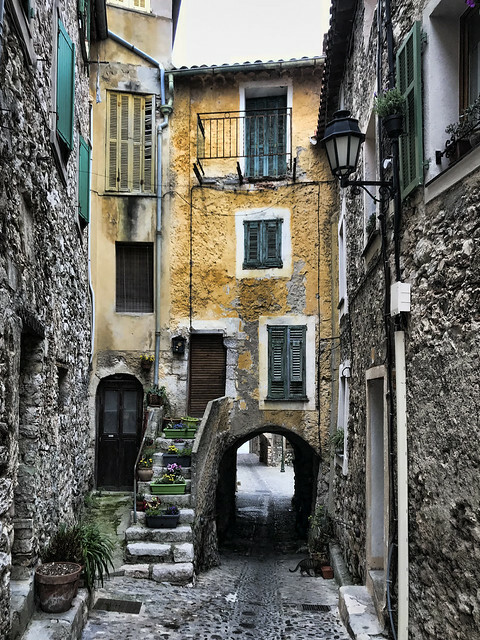 On her Menton blog, she frequently included posts about her nearby home of Gorbio, a tiny medieval town perched on a hilltop above the Mediterranean Sea. Jilly's blogs and photography inspired me to work harder at our own blog. And her photos of life in Gorbio were so enchanting that we were determined to visit the town if we ever had the chance. So...here we are, and it's lived up to our expectations. I wonder if anyone has ever visited Downey as a result of our blog...and did it live up to their expectations?